The analysis of the military-political situation in the Syrian Arab Republic (SIR) and Iraq indicates that the extremist movement of the IGIL, on the one hand, will retain its presence in the above-mentioned countries, and on the other, will take steps to strengthen its positions in the countries of North Africa and the Islamic Republic of Afghanistan (IRA). In different parts of SAD and Iraq, there are entire areas controlled by local Sunni insurgents who are familiar with views close to the IGIL. Moreover, the Sunni Arabs do not aspire to create a so-called "Caliphate". In addition, Despite tangible losses in the SAR and Iraq, IGIL continues to attract new supporters, especially from South-East Asia. Obviously, IGIL continues to have some financial resources. Therefore, IGIL has the opportunity to further conduct its jihadist activities. In this regard, much will depend on the position of the official authorities of the Kingdom of Saudi Arabia (KSA) and Qatar, controlling its so-called non-state Islamic charity foundations. It was these foundations that were previously donors of extremist movements. By the way, at present, IGIL relies, first of all, on Iraqi Sunni tribes, which, with the Shiites, were displaced from the political and economic life of the country. The civilization-inter-confessional conflict between the KSA and the Islamic Republic of Iran (IRI) and its implications for the countries of the Central Asian region (CAR) is expedient to consider through the prism of a well-known statement by Crown Prince KSA, the Minister of Defense of the Kingdom of Muhammad Ibn Salman. In the opinion of the Minister of Defense of the KSA, the ultimate goal of the IRI is to take control of the shrine in Mecca. Therefore, according to Muhammad Ibn Salman: "We will not wait for the battle in Saudi Arabia. Instead, we will work for the battle to take place in the IRI. " In particular, in the Riyadh region, the MTC North-South, and its branch of the IRI-Turkmenistan-the Republic of Kazakhstan (RK) - are beneficial to the Iranian side. Within the framework of the above-mentioned strategy, the official Riyadh has been putting pressure on the IRI by means of "soft power" instruments in the Islamic Republic of Pakistan (IRP), the Republic of Tajikistan (RT), Turkmenistan and the IRA. It is in these countries that the official Riyadh seeks primarily to neutralize the official Tehran with further extrusion from promising infrastructure and energy transport projects. On the labor market of the KSA there are hundreds of thousands of migrant workers from the Republic of Uzbekistan (RU) and other CAR countries, who lost their jobs in the Russian Federation due to the economic crisis. Over 600 thousands of people (more than half of them citizens of the Republic of Uzbekistan and ethnic Uzbeks) moved to work in the Arabian Peninsula, primarily in the KSA and the United Arab Emirates (UAE). Involving them in the circle of Salafi religious and political influence provides the official Riyadh with tools to strengthen its geopolitical influence in the CAR, with all the ensuing consequences. Moreover, a considerable part of the problems of the Muslim countries is connected with the claims of the official Riyadh to hegemony in the Islamic world. Obviously, the official Riyadh is committed to serving as messianic in the Muslim world and to play the main role of the Sunni community, which directly threatens the CAR countries. The matter is that the official Riyadh has a serious resource for processing the population of the Central African Republic - the presence of the Hajj, a compulsory Muslim pilgrimage to the holy places in Mecca and Medina. Despite the fact that in recent years, the leadership of the CAR countries has taken measures to prevent the movement of radical people in the KSA, the prohibitions can not change the situation with the spread of radical Islam in the CAR, including Saudi Wahhabism. Against this backdrop, the official Riyadh seeks to extend its influence to the CAR through business contacts for two reasons: firstly, to actively participate in the investment strategies of the People's Republic of China within the framework of the "One Belt - One Way" initiative; secondly, to minimize the political and economic influence of the IRI in the CAR. Moreover, in formal dialogue with the CAR countries, Tehran has considerable economic potential. The population of the Islamic Republic of Iran and its economic power exceed the total population of the CAR countries and their aggregate economic potential. The Iranian side is in a position to expand its engagement with the CAR countries by linking their transport communications and export flows to their maritime ports in the Persian Gulf. In addition, official Teheran seeks to strengthen its engagement with the CAR countries within multilateral structures such as the Nuclear Power Plant and the SCO. And most importantly, official Tehran is preventing the involvement of the Caucasus-Caspian region in NATO's area of ​​responsibility. 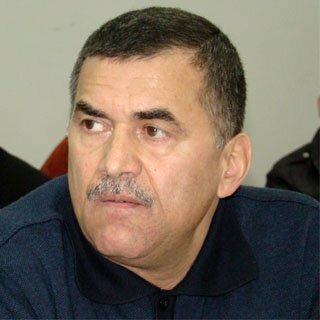 Therefore, in Tehran, it is considered that the further rapprochement of Georgia with NATO will be politically hampered by the transport and economic ties of the Russian Federation and the IRI using the Georgian-Armenian and Georgian-Azerbaijani corridors. A hypothetical accession of Georgia to NATO and at all will serve as an obstacle to the practical realization of trade relations and transit traffic between the IRI and the Russian Federation. In Tehran, it is believed that it is expedient for the Russian side to intensify the negotiation process between Abkhazia and South Ossetia and Georgia. Especially since 2017 saw the trend of implementation of the 2011 agreement on trading corridors, opening windows of opportunities, including for cross-border trade. The corresponding papers are agreed and partially even signed. But, the process of their implementation has not yet come. However, in Tehran, it is considered that there can be no strategic relations between the IRI and the Russian Federation, but it is necessary to limit itself to the development of "strategies for the development of their relations". Therefore, official Moscow seeks to establish a mutually beneficial partnership with the Islamic Republic of Iran. The "locomotives" of strengthening Iran-Russia relations in the economic sphere are nuclear power engineering, oil and gas production, machine building and related related fields of cooperation. In particular, the main work of the business communities of the Islamic Republic of Iran and the Russian Federation covers the nuclear and oil and gas fields. In other words, the official Tehran derives maximum benefit from cooperation with the Russian Federation. But, the strengthening of the strategic positions of the official Tehran in the region of so-called "Shiite Crescent" is not welcome in Moscow. However, the Kremlin is forced to maintain an allied relationship with the official Tehran, since Iranian special forces, along with Shiite formations, play a major role in land operations in SAD. The exact number of jihadists of the IGIL in the IRA is not known for sure. The numbers, which are periodically called, range from 3 thousands to 4 thousand militants. At the same time, according to official reports, the IGIL Jihadists operate in the provinces of Nangarhar, Kunar, Khost, Lagman and Nuristan in the east of the IRA. The presence of the IGIL in the east of the IRA indicates that some Pashtun clans support them. A similar relationship is expected between the IGIL and a number of Pashtun and Nepushtuan clans in the north of the IRA. After all, IRA's official authorities are pursuing a policy of suppressing the activity of prominent political leaders of Tajiks, Uzbeks and Hazaras. The IRA's official authorities consider their Taliban movement to be their main enemy, not the IGIL. This is due to the fact that some pro-Palestinian groups do not consider the IGIL as the main political opponent of the President of the IRA Mohammad Ashraf Ghani on the eve of the 2019 presidential election. In spite of the fact that the IGIL is trying to ignite a war between Sunnis and Shiites in the IRA. It is Shiite mosques that are the priority targets for jihadists in the IRA. The IGIL's desire to ignite the conflict between Sunnis and Shiites can be seen as a way to create a social base for the IGIL in the IRA, which will inevitably have a negative impact on the interreligious and interethnic situation in the countries of the Central Asian region (CAR). Afghans who participated in combat operations in the IGIL as mercenaries are returning from the fighting zone in Sara and Iraq. Their recruitment on the part of the issuers of the IGIL is carried out in refugee camps, or in industrial facilities of the Arab Gulf States, where they work as guest workers. Terrorists-foreigners with military specialties mainly arrive in the IRA through the IRP, from where they reach the IGIL bases in the southwest of the Afghan province of Nangarhar. Most of the militants who joined the IGIL-Velayat-e-Khorasan branch are those who have lost their kinship and belong to a particular tribe, clan, or IRA area. This is primarily Afghans who have grown up in refugee camps outside the IRA and have been trained in religious schools of radical interest. Another category of persons completing the Velayat-e-Khorasan ranks in the IRA include foreigners from the Central Asian states, among which there are many extremists displaced from the Pakistani territory, who have military experience and are accustomed to fight for monetary compensation. Due to the multinational character of Afghan society, they are perceived in the north by the IRA as local citizens. It is precisely on the representatives of national minorities in the IRA that a bet on the side of the IGIL is being made, since the ideological arrangements of the extremist movement provide for further expansion in the direction of the Central Asia. "Velayat-e-Khorasan" counts up to 4 thousands of Kharijit (or hawarid). Up to 50% Kharijit "Velayat-e Khorasan" are foreigners, among which at least 7% are from the IRP and CAR countries. "Velayat-e Khorasan" until August, 2018 year, conducted active recruiting work among ethnic Tajiks, Uzbeks, Kazakhs, Kyrgyz and Turkmens living in the IRA. He attracts on his side field commanders and experienced militants of other terrorist groups. Thus, in the IRA, there are 7 small extremist organizations created by nationals from the Central Asian states: IMU (Islamic Movement of Uzbekistan), Organization of Islamic Jihad, Jund al-Khalifat, Caucasus Emirate, Jamaat Bulgar, "And" Ansar al Asir ". Chariqi tactics are traditional: the extremists are betting on the actions of small detachments, usually up to the army platoon, which suddenly concentrate to strike at the base or blocking of the enemy. In addition, widely individual terror, hijacking and assassination of ordinary police officers are used. As for weapons, Chariqites are equipped with modern models of small arms and communications. Velayat-e-Khorasan attempted to create its infrastructure (warehouses, training camps) in the northern provinces of the IRA (Jawzjan, Faryab and Sarı-Pul), to organize the reception points of insurgents from the SAD and Iraq, which would allow the IGIL to create a rear base for further expansion in the direction of the CA. 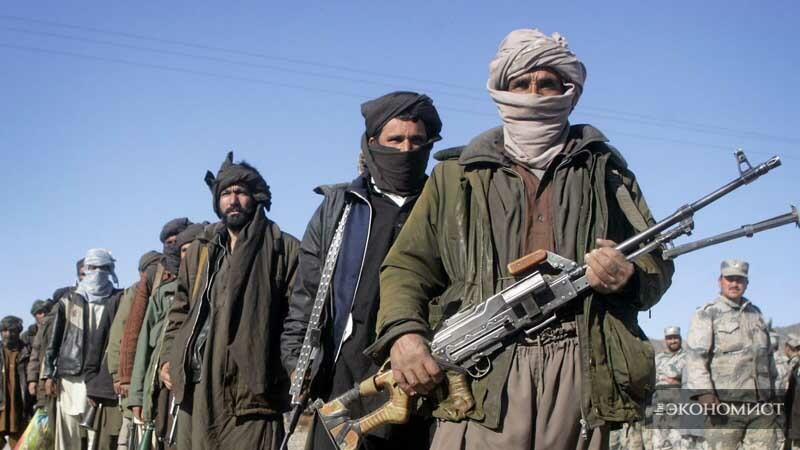 However, the northern direction of Velayat-e-Khorasan was defeated by the Taliban's armed detachments, which led to the complete displacement of the Kharijites from the northern provinces of the IRA. In particular, 1 August 2018 year, the commander of the northern direction "Velayat-e Khorasan" Maulavi Habib-ur Rahman surrendered to the northern IRA to the government forces. The Kharijites prefer to surrender to the IRA authorities, fearing the brutal repression of the Taliban. It should be noted that the representatives of the "Caucasus Emirate", who in an alliance with "Velayat-e Khorasan", unsuccessfully tried to transfer their activity to the territory of the CAR countries, first of all, the Republic of Tajikistan, the Republic of Uzbekistan and the Kyrgyzstan, on the loyalty of the IGIL. True, the representatives of the IMU have repeatedly stated that they are joining the IGIL and intend to act in the interests of Velayat-e Khorasan. However, these IMU statements were of a propagandistic nature and were undertaken to demonstrate the significance and strengthen their positions. In particular, in the 2015 year, the commander of the IMU, Usman Gazi, went over to the IGIL side. But, later that year, the Taliban defeated the IMU in the battle in the Afghan province of Zabul. Since then, U. Gazi had not heard anything. It should be noted that in the autumn of 2016, a son of the murdered creator of the IMU, Azizulla Yuldash Jr. and several of his closest associates were released from the prison of NATO coalition forces in Bagram. However, this circumstance did not help to strengthen the IMU factor for the northern direction Velayat-e Khorasan. Against the backdrop of the numerous surpluses of the Taliban's armed forces and their increased concentration in the northern provinces of the IRA, the Khavarji "Velayat-e-Khorasan" left the eastern province of Nangarhar, where the eastern command of the Khavarji is stationed. The local population of the northern provinces of the IRA does not support Velayat-e-Khorasan and the aforementioned small extremist organizations. The point is that just after the defeat of the northern direction of Velayat-e-Khorasan, life in the north of the IRA has returned to a calm channel (new stores and markets are opened, and schools and hospitals receive funding from the Taliban). Restoring the functioning of the social infrastructure is one of the priorities of the Taliban. The Taliban leaders understand that the Taliban must deal with social issues in order to have the support of the local population. Moreover, the Taliban is targeting strict norms in the northern provinces. In other words "Velayat-e-Khorasan" in the IRA was created to maintain tension in the border areas with the Central Asian republics, as well as the creation of a kind of bridgehead for the beginning of offensive operations in the northern direction on the Afghan territory. The fighting in the Afghan-Turkmen state border began in the spring of 2015 year, when the Khavarji "Velayat-e Khorasan" intensified their activities in the northwest provinces of the IRA Herat, Badghis and Faryab, where numerous Turkmen population reside. Here, local Taliban movements have been transferred to Velayat-e-Khorasan. The concentration of the Kharvrid on the border with Turkmenistan indicated plans for Velayat-e-Khorasan to involve the Turkmen Armed Forces in the so-called "Boiler" between Marchak and Kushki-Kuhna. In the event of an attack on Turkmenistan, the Kharvidians could take Turkmen military units in a semi-circle, which could lead to great losses for the Armed Forces of Turkmenistan. It can be assumed that the goal of the Velavit-e Khorasan was the Turkmenistan-China gas pipeline, the destruction of which would have a serious impact on the Turkmen economy and would be a problem for the People's Republic of China, which could lose supplies of Turkmen natural gas at low prices. Currently, the situation in the above-mentioned area is stable. After all, the Taliban defeated the Kharvrid in the provinces of Faryab, Badghis and Jawzjan, near the Turkmenistan. It can be assumed that there was an agreement between Ashgabat and the Taliban. Against this backdrop, Ashgabat strengthens borders not only with the IRA, but also with the RU. However, Pakistani intelligence agencies tracking the situation in the IRA do not consider it possible to strengthen the position of the IGIL in that country. The fact is that the Taliban movement mainly unites Afghans and Pakistani people, i.e. ethnic Pashtuns. The Taliban do not set goals beyond the geographical boundaries of the IRA and inhabited by Pashtuns in the regions of the IRP. In addition, Islam, practiced by Afghans, including the leaders of the Taliban movement, is mainly Sufi with ethnic and other layers of pre-Islamic origin. Then, as the IGIL and Velayat-e Khorasan adhere to Islam as a Salafist one. Therefore, due to the above-mentioned divergences, the IGIL even declared "jihad" ("sacred war") to the Taliban movement. Against this backdrop, a statement by the Tehrik-e-Taliban Pakistan (the Pakistani Taliban movement) was circulated to the IRP, stating that al-Baghdadi is not a "caliphate", since the "caliph" is the leader for the entire Muslim world , and al-Baghdadi has no such leadership. He, as stated in the statement, is the leader of some people in some territory. In addition, al-Baghdadi is not a Muslim "caliph" because he was not elected by Islamic rules. At first, if the US and NATO mission to the IRA "Resolute Support" will not destroy the main base of the IGIL in the east of the country by the end of 2019 in the east, jihadists will continue their policy of expansion in the country with all the consequences. Including, in the form of resuscitation of the ideas of the IGIL on the creation of the so-called "Vilaita Khorasan", which should unite all the countries of the CAR and the Chinese SSAR. In this case, the numerical growth of ethnic Uzbeks, Turkmen, Tajiks, Kazakhs and Uigurs from the radical part of the population of these countries involved in the IGIL will be observed. This is indicated by the following fact: Army General of the IRA Army retired Atikulla Amirhil said that in the RT the cell already functioning in the IGIL. Second, the The danger to the RT, Turkmenistan and RU comes from the Afghan branch of the IGIL. With the fact that jihadists do not have enough strength to attack the aforementioned countries of the CAR with a broad front. Although, secretly to cross the state border and commit an attack on small border villages of jihadists in forces. However, in Tajikistan, jihadists will not be able to hold even a small bridgehead, because will be immediately destroyed by the forces of the Russian military contingent. It is likely that the Russian Federation will provide military assistance to both RU and Turkmenistan, and the corresponding arrangements were probably still achieved during the last year's visits to Moscow by Presidents of the Republic of Uzbekistan and Turkmenistan. It should also be taken into account that the movement «The Taliban, which seeks to legitimize and return to power in Kabul, is distancing itself from jihadist movements in the region, whose radical methods of struggle are rejected by the overwhelming majority of the population, both the IRA and the states of the Central and South Asian region. Against this backdrop, the fierce opposition to ISIL-controlled troops from armed Taliban movements, as well as the decline in the volume of financial assistance from SADC and Iraq, contributed to a significant reduction in the volume of financing of the Khavaridha and a sharp slowdown in their penetration rates in the IRA and the CAR. Therefore the strengthening of the positions of IGIL in the IRA and the CAR is unlikely. It is symbolic that the leaders of the IGIL plan to move their main headquarters from SAD to Libya. 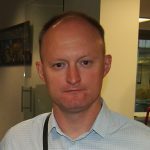 Ruben Mehrabian: "Post-election Armenia - what has changed and what to expect"